In good fall spirit we are loving the orange-y hues. 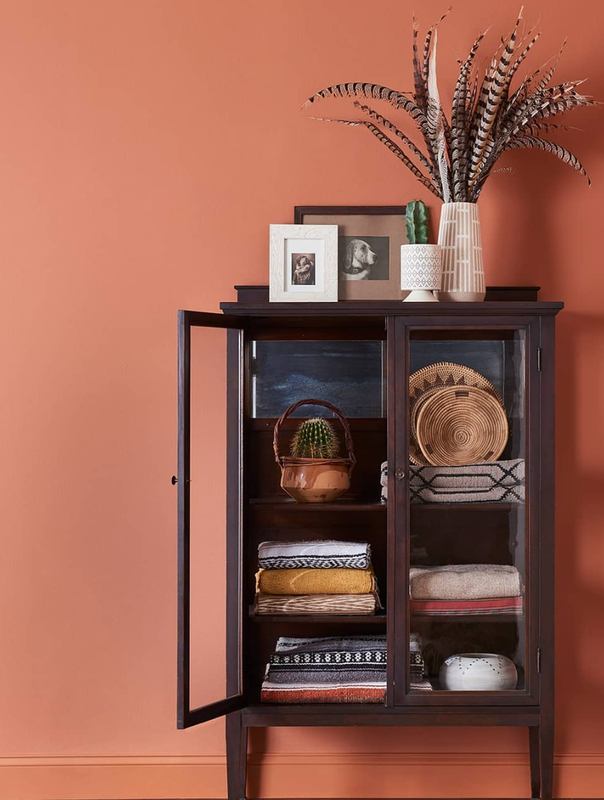 Although you may be thinking this color trend is one of the season, Sherwin Williams has also declared this deep terracotta orange, or as they call it, Cavern Clay, 2019’s color of the year. And if you ask us, we are glad it’s a color that is around to stay through the new year. The color lends itself well to a whole new wall color or just as good in a few simple accents throughout the home. It is a perfect backdrop for a space, making it great for some warmth on your floor with a rug or brining it in in a larger furniture piece as well. However you choose it, we recommend pairing it with wood tones, leathers and all sorts of greenery.